This Ziarat Package offered by Iran Destination, Iran Travel Agent, is the best choice to see two famous ziarat countries in one low cost trip for those who are interested in religious sites of Iran and Iraq. 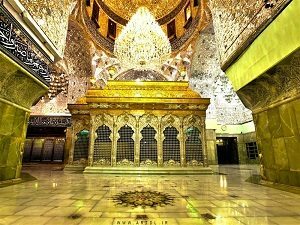 Our Ziarat Package includes all the religious holy shrines of Iran and Iraq, which all Muslims and some of Non-Muslims wish to see in their lives. So during 11 days, you have the opportunity to visit the famous ziarat locations of Iran and Iraq. Afternoon, drive to Najaf, Visit Imam Ali Shrine, Kufa Mosque, Maitham altammar, Hani Bin Irwa. After breakfast, Half Day tour the markets of Najaf and free time to visit extra sites, the cemetery of Wadi al Salam and Alnajaf dry see and drive to Basra.